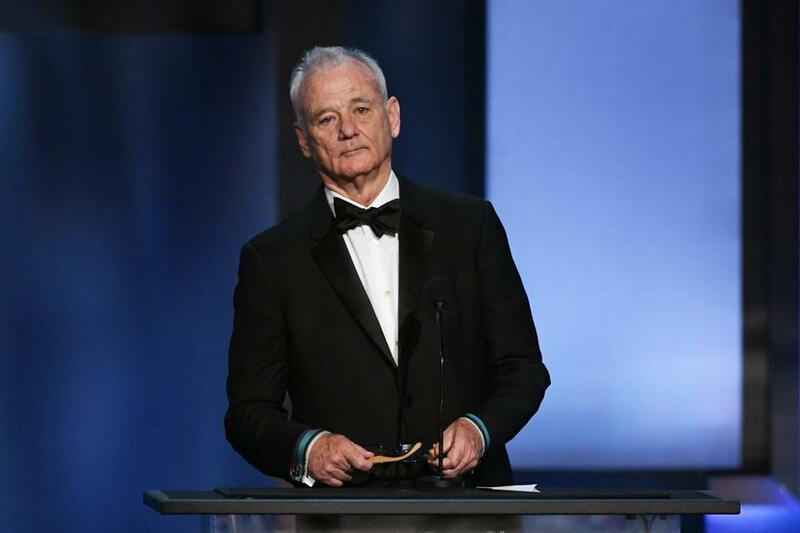 Bill Murray spoke onstage during the American Film Institute’s 46th Life Achievement Award Gala Tribute to George Clooney in June. There, he felt someone grab him from behind, turn him, and slam him up against a door, he said during a phone interview Thursday night. He thought it was a bouncer at first, he said. According to Simon, the man, using an expletive, said he should throw Simon out of the restaurant and cause him bodily harm. “He looked like he was ready to strangle me,” said Simon. A pair of actors was also spotted on the island recently. Simon said he asked the man “Do you know who I am?” a phrase which Simon said was intended to convey that he was a well-respected photographer. “He doesn’t look anything like he used to look,” said Simon. Simon said after that interaction with Murray he continued to shoot pictures in the restaurant. Later, while he was seated at a table, he said Murray poured a glass of water on him and his camera. “He treated me like the scum of the earth,” said Simon Thursday night. Attempts to reach Murray by phone Thursday night were unsuccessful. A message left with Lola’s was not immediately returned Thursday night. Simon said Murray did not feature in any of his photographs from the night, adding that he wasn’t interested in exploiting anyone. Simon, according to the report, told police he thought a disorderly conduct charge was more appropriate. According to the report, Simon said he was uninjured from the incident. As of Thursday night, Simon had not pressed charges, but he had not ruled it out, either. Meanwhile, the owner of the restaurant, Katherine Domitrovich, told police Simon had “no business photographing anyone in the restaurant and was generally annoying,” according to the report. Simon rejects that statement, saying The Marotta Brothers Band invited him to cover their gig. “That’s a complete lie,” he said of Domitrovich’s statement. Domitrovich told police she thought Simon found out that Murray was at Lola’s and he came to specifically take his picture, according to the report. Simon strongly denies that assertion, and Jamie Kageleiry, the associate publisher for The Martha’s Vineyard Times, confirmed Thursday night that his assignment was to photograph the band and people enjoying the music. The paper didn’t know Murray would be there, she said. “We pride ourselves on giving celebrities their space,” said Kageleiry, who described Simon as professional and mild-mannered. Now, Simon wants an apology from Murray and Domitrovich. “I’m not a paparazzi-type photographer, I’m just not,” said Simon, whose extensive career has included photographing celebrities like Bob Marley and members of The Beatles, The Police, and Led Zeppelin. His photos have also appeared in the Globe. After speaking with Domitrovich Wednesday night, police told Simon he was no longer welcome at Lola’s and he would be subject to trespassing charges if he came back to the property, according to the police report. Wednesday night wouldn’t be the first time Murray had an outburst over photographs. 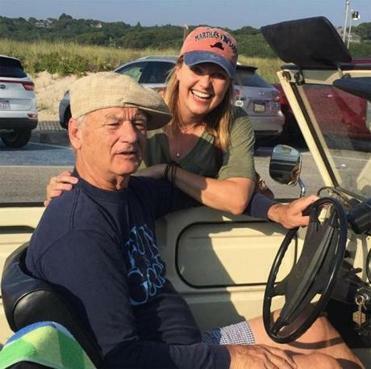 Last year, The Chicago Tribune reported he admonished a man for taking a photo of him at a meet-and-greet following a concert and yelled at a woman who wanted a photo of Murray, herself, and her husband.